Sinsheim - Mario Götze expressed his joy at starting a Bundesliga game for FC Bayern München again after their 2-1 win at Hoffenheim on Saturday, while the hosts' teenage goalscorer Niklas Süle felt his side had done well against "the best team in the world". bundesliga.com rounds up the best quotes after Saturday's bash in Sinsheim. Mario Götze: We didn’t start great, although we didn’t give much away at the back either. We were unlucky to go behind, but then we did well to get back in it. It's nice for me to play from the start again and to get time out on the pitch. I'm almost back to 100 per cent. It would be nice to play in the Champions League next week, but we'll see what the coach decides. Manuel Neuer: The goal which made it 1-0 was my fault. I don’t know how it happened. I gave Hoffenheim a gift. Afterwards, though, we came back well and made it 1-1, then we got the winner in the second half. Considering we had so many chances, we deserved to win. Niklas Süle: We played against the best team in the world today and we played well. 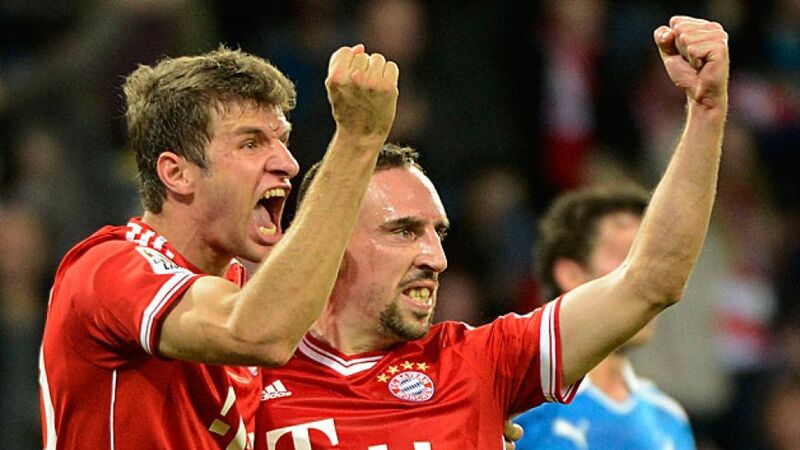 We held our own and created chances, but Bayern just have that quality to then get a winning goal and make it 2-1. Kevin Volland: We conceded two frustrating goals today, although Bayern had a lot of good chances. We also had chances, though, and we countered well today. We fought with everything we’ve got and made it hard for them, but unfortunately, that wasn’t enough to get anything. Sebastian Rudy: We played really well today. We took the lead and then had two good chances that we didn’t take, and then we conceded the equaliser. We still made a good start to the second half, but we didn’t take our chances. They made it 2-1 because of our mistake, but I think we were strong opponents for them today and the fans lifted us too. The atmosphere was fantastic.